Transform your Mac into a Time Machine! Warning: Stop motion can be very scary! You too can be a Time Lord! Over the past couple of weeks, I've had the extreme pleasure of playing with iStopMotion, by Boinx Software. It's a remarkably powerful and easy-to-use app you can use to create stop motion animation or time lapse movies. Stop motion is a technique of creating animation by taking single pictures of objects. You move the objects a tiny bit between exposures, and on playback, you've created movie magic. 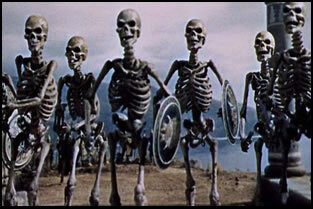 Examples of this technique include Claymation, and one of my favorites, the sword-fighting skeletons in the classic film Jason and the Argonauts. Time lapse is even simpler. 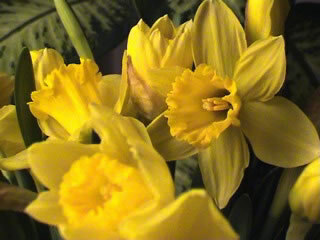 You set up a camera taking pictures at regular intervals, say one frame every minute. On playback, the result is a speeding up of normal time. If you've ever seen the film Koyaanisqatsi, you know how powerful and dramatic this simple technique can be. Live Video Overlay: Controls how much of the last frame vs how much of the live camera you see. Great for aligning your next shot. 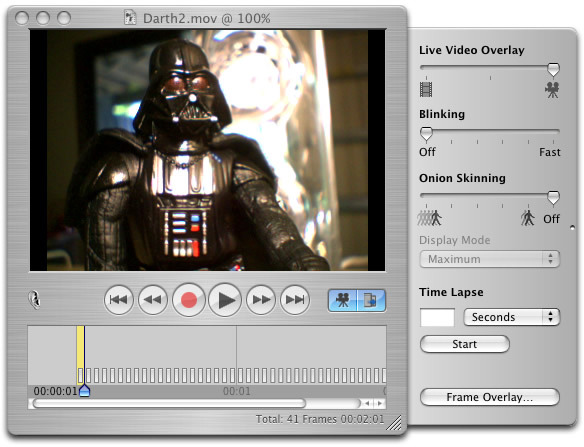 Onion skinning: gives you the ability to look back at up to five previous frames, each superimposed over the other. You can move your objects and then see in real time how far you moved them in relation to the most recent pictures. "Blinking" flashes the current, live image and the previously recorded image at a user-set interval. Again, this helps you imagine how the scene will look once animated, and gives you an easy reference to make any adjustments if necessary. A look at iStopmotion's interface. Keep in mind that these slider controls can effect each other, for instance if your Live Video Overlay is fully to the camera's view, Onion Skinning will not show any of the recorded frames. Once you're aware of how they interact though, it gives you lots of options to examine past frames and the upcoming one. iStopmotion also features a voice activation feature, which allows you to trigger image captures with a voice command... extremely convenient if there's only one of you bending and manipulating your Barbie doll or Geek Action Figure. iStopMotion is a ton of fun, and it can turn even your most boring day into an action-movie. You don't have to be a Speilberg and use a complicated storyline or characters, just point you camera almost anywhere.. (out your window, at your TV, on yourself working) and start recording a time lapse. In a few hours you'll have a fascinatingly fast record of your life. There are even more great features of iStopMotion. It gives you the option to edit a recorded frame with an external program such as Photoshop. For instance if you accidently captured a bit of your hand in a shot, you can switch to Photoshop to remove the mistake, than switch back to iStopMotion, replacing the bad capture with your cleaned up one... without even stopping the recording! 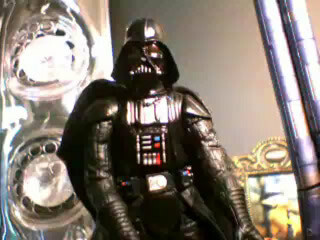 You can even add special effects this way, as I did with my Darth Vader movie. The program also gives you the choice to save image sequences as unique TIFF or PICT files, sequentially numbered, for later editing or importing into the program of your choice. iStopMotion also gives you great control over your camera, include the image hue and saturation, color balance, and Focus. Focus is particularly important when using an iSight, as it's auto focus will often need to be manually corrected, especially during close-ups. iStopMotion can also can be used in professional environments, with cameras other than the iSight to produce very sophisticated results. Check out the gorgeous time lapse movies over on Skytimelapse.com. 5 Geeks out of 5 Geeks! YES! I love iStopMotion. It's powerful, easy to use, and makes me feel like a kid again! So there you have it folks, my glowing review of this really cool app. Check out the free 7 day demo, and treat yourself and your iSight to the thrill of capturing fleeting intervals of chronology. It'll be one lapse of time you probably won't forget! When you're finished with your free demo, iStopMotion is available for $39.95 at the Boinx website. And coming soon, Boinx plans to introduce a Pro License, allow you to use iStopMotion with even higher resolution capturing devices to create even higher quality movies. Updates from the DV license to the Pro license will be available. The hardware requirements for iStopMotion are hard to define. The more RAM you have, the better. The processor speed also helps. The slowest Mac we tested on was the first generation DV iMac with reasonable results. The graphics card also plays a major roll. The movie preview will display in a lower resolution if your graphics card does not have enough memory.